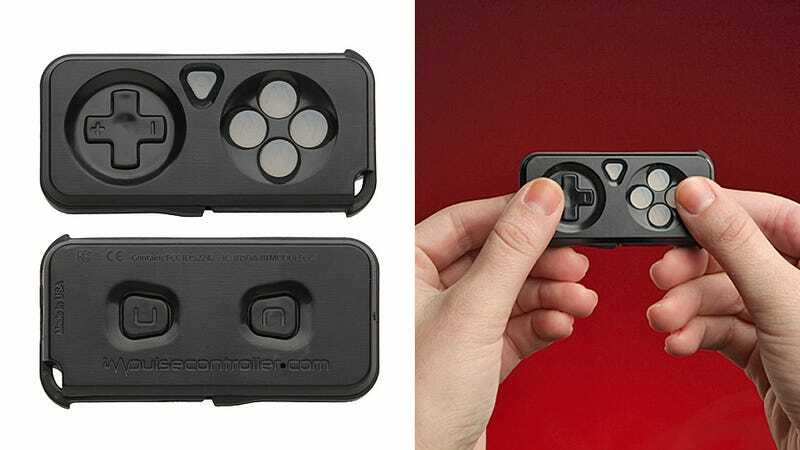 We've been promised that touchscreen smartphones and tablets are the future of mobile gaming, but those of us who grew up with Game Boys and Game Gears know that physical buttons and joysticks are still the way to go. That's not to say touchscreen devices don't make for wonderful portable consoles, they just need a little help, and this tiny Bluetooth controller will more than fill that role. Billed as the smallest portable controller you will find, the iMpulse is a miniature marvel that still manages to squeeze in a directional pad, seven buttons—five on the front and two on the back—and a rechargeable battery good for nine solid hours of continuous play.